2018 isn’t over yet but we have already found a frontrunner for ‘Dad of the year’ award. 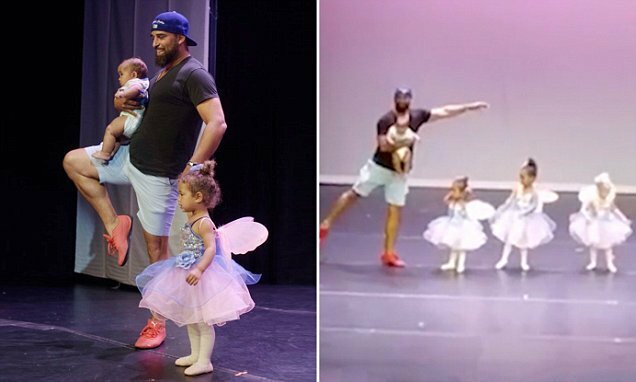 A heartwarming footage of a supportive dad, doing ballet alongside his frightened daughter on stage, has gone viral after being featured in Daily Mail, and the internet cannot stop gushing about the adorable father-daughter bonding moment. You may have seen a number of heartwarming videos this year, but one footage of a father supporting his little daughter during her ballet performance definitely takes the cake. Marc Daniels, dad of three, seems to be a man of many talents. In the video footage that went viral, he is seen holding his youngest toddler is one arm while keeping the other arm extended and performing a perfect twirl with the grace of a natural ballet dancer. 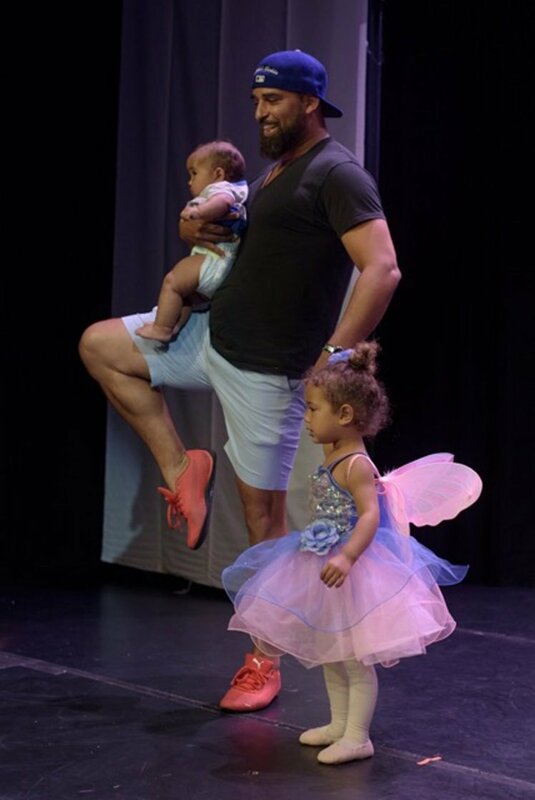 The heroic dad’s impromptu performance won hearts of almost everyone sitting in the audience, and impressed by his dancing skills, In Motion School of Dance once again invited him to perform alongside his daughter and the rest of the girls at future dance events. The incident occurred last month at Bermuda’s Hamilton City Hall where Marc’s second youngest daughter was performing ballet at her first-ever dress rehearsal. The proud father was sitting in the audience with his youngest toddler, Suri, when Bella started suffering from stage fright mid-performance. 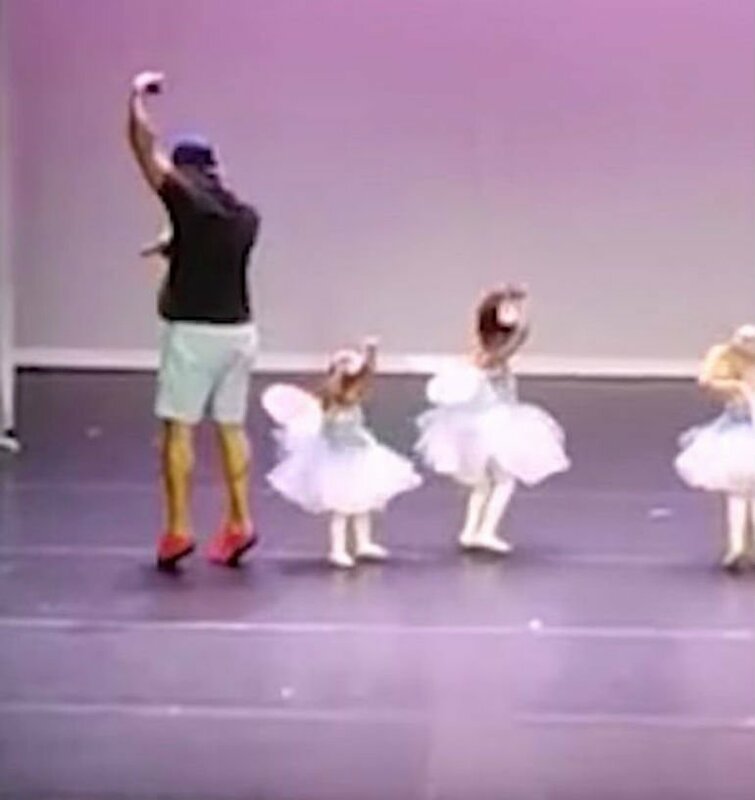 The little girl began crying and asking for her dad which is when the dance instructor invited Marc to come up on stage to give his daughters words of encouragement – but the supportive dad did more than just that. Clutching Suri in one arm, Marc ran up on stage where his daughter stood crying, he started performing the ballet moves next to her. As he swung his free arm around and twirled expertly, Bella forgot all about her stage fright and began dancing with her dad like there was no one else in the room. The crowd witnessed the spectacle in awe as the Marc expertly multitasked parenting duties, holding the first daughter in one arm and consoling the second one with the other. The sweet moment was also captured on camera and reported by news agencies, turning the supportive father into a local celebrity. Daniels, who works as a barrister, said that Bella began sobbing as soon as she got on stage and even though she was having one of her tantrums, he knew that she didn’t want to leave mid-performance which is why, instead of taking her home, he encouraged her to continue dancing. In the beginning he stood next to her giving words of encouragement, but Bella insisted that he dance with her so he decided to join in. Daniels said that he had often helped his daughter practice at home so thankfully, he was familiar with most of the movements. As soon as he began twirling around, Bella stopped crying and watched him with fascination. After a few seconds, she started following her dad’s lead and got back into the performance eagerly. The dad-of-three said that the viral footage of his ballet dancing was even watched by people in his office, and every time a juror or a police office saw him walk by, they would give him a ballet-like twirl as a way of showing appreciation for his courageous move on stage. Daniels said that even the jury in courtrooms recognized him and made comments about the viral video. “Maybe it isn’t too late for me to switch careers and become a ballerina!” he jokingly said in an interview with Daily Mail. Daniels’ amazing ballet skills as well as his multi-tasking and balancing abilities are winning hearts around the world. The superhero dad became so popular that his daughter’s dance school was compelled to invite him once again on June 9 to join the girls on stage but Marc politely declined saying that he didn’t want to steal the spotlight from the talented young dancers. He did watch the performance in the audience, waiting in wings like a superhero to rescue his daughter if she needed him. What are your thoughts on the heartwarming footage of the encouraging father dancing next to his daughter?